Video games are often used as a convenient scapegoat for many of the issues affecting today's youth. Advocates for outdoor play often lament that kids spend too much time indoors playing games. Health experts say that kids need to get up off the couch, put down the video game controller and start moving around. Politicians and parenting groups say games desensitize children to violence, expose them to questionable content and/or promote addiction. While blaming video games seems an easy way out sometimes, it's important not simply to dismiss the questions and concerns that so many parents have raised about video games today. Many of these issues are perfectly valid and legitimate, and only through understanding what causes such apprehensions to arise, and persist, can parents discern ways to deal properly with them. Here, we'll take a closer look at each of these issues. Amount of Play Time - How much is too much? Ask yourself: What is the appropriate amount of time children should be allowed to spend playing video games? Although this is a highly personal decision, based entirely on your family's needs, most experts agree that setting limits on all screen time is important for healthy development. Many families start with a daily screen time allowance, such as one hour per day, and add or subtract time as a reward or punishment for good or bad behavior. Note that the American Academy of Pediatrics recommends limiting a child's use of TV, movies, video and computer games to no more than one or two hours a day. 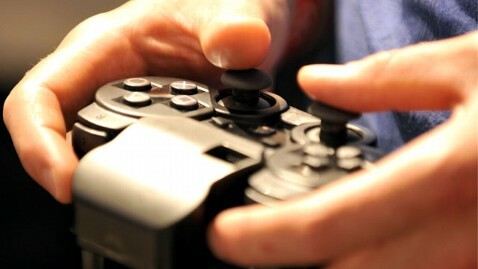 The National Institute on The Media & Family further suggests offering no more than an hour of video game time daily. Whichever advice you choose to follow, beginning at a fixed base level, such as an hour per day, can make a good starting point, giving you some wiggle room to add or subtract time based on children's behavior. Age Appropriateness - Although it seems obvious to many parents that different content is appropriate for different ages when they think about movies or music, many parents struggle when figuring when and how to introduce their kids to video games. There are not only a vast number of different video game titles available to choose from targeted at multiple age groups, but also many different ways to play that appeal to kids of different ages. Parents further disagree as to when it's appropriate to introduce a child to gaming. Many parents allow their one- and two-year-olds to play games on their smartphones - a concept that may seem foreign to other families. Others wait until age four, five or six, as preschoolers begin to master the hand-eye coordination necessary to enjoy simple console and online computer games. Consider that elementary school kids who are mastering their reading skills will have even more game possibilities open up to them, as many more advanced games offer text-based instructions and on-screen tips. As kids get older, they'll also be presented with possible entry into the world of online or social network games for services like Facebook. Regardless of when you choose to make games available to children, by the time kids enter kindergarten, it's likely that they will have experienced video games through a number of different devices and platforms in one form or another. The reality is that there's no hard and fast guideline for when to introduce video games into your home. Each of the above milestones are accompanied by their own gaming rites of passage, and only you can decide when your child is developmentally, emotionally and socially ready to embrace them. Speaking with your children's teachers, caregivers and certified professionals may help you gain greater insight into appropriate timing, however. Health and Obesity - If you are concerned that your kids are becoming couch potatoes, you aren't alone. Parents everywhere worry about their kids becoming slothful or seeming not to get enough exercise. Video games are a part of the equation, as are the foods they eat and other issues that can range from social concerns, the availability of active alternatives and even deeper-seated emotional troubles. When it comes to games, the key is to balance game play with other activities, including, but not limited to, outdoor play, reading, team sports, group events and community service. Luckily, an increasing number of today's games require players to move around in order to control the gameplay. As a general rule, though, many parents require kids to have two hours of outside time for every one hour of video game time. We encourage you to experiment and adjust as needed, and, of course, also set aside time that the entire family can spend together. Safety Concerns - The Internet has opened worlds of opportunity to gain information, make new friends and play in amazing virtual worlds with people from all over the world and different cultural backgrounds. There's much positive to say about it, but there are also some real dangers to be aware of, including identity theft, cyber-bullying and exposure to information and influences that are far different from those your family values. In fact, according to the 2011 Norton Online Family Report, children worldwide spend more than 1.6 hours per day online and almost two-thirds of them report having had some sort of negative experience. The survey says only 45 percent of parents realize this, underscoring the need for more parental involvement and education as a starting point, followed by effective communication with kids so that they, too, can comprehend the dangers and how to avoid them. Violence, Aggression and Misbehavior - While video games are rarely the primary cause of violent or antisocial behavior, they can frequently be seen as a part of the problem, especially when conflict occurs over gaming habits. There is also some evidence that kids can become more aggressive or even violent in the short term after playing certain types of games. Note that such rises in aggression are similar to how they might behave after playing a highly active and physical sport, such as football, or how they might act after a seeing a particularly brutal movie. In general, many experts have found that video games in and of themselves do not cause kids to be any more violent than other forms of entertainment. Additionally, many times kids that are predisposed to misbehavior may inherently be drawn to certain types of darker or more violent entertainment. However, it is important for parents to identify video game and entertainment choices that won't contribute to or exacerbate behavior problems, and monitor the way in which children consume these titles. Doing so can help minimize both conflict within the home and negative impulses, as well as associated outbursts. In the end, for parents overwhelmed with concerns about video games, it may help to know that literally tens of millions of people play games regularly and safely every day. Certainly, significant worries do exist, but they don't have to be reasons to dismiss video games completely out of hand. Case in point: Despite the obvious dangers, many perfectly well-adjusted parents don't let the possibility of identity theft, robbery or kidnapping deter them from participating on social networks like Facebook, Twitter or LinkedIn. Where video games and kids are concerned, education and engagement are always key. The good news: By simply reading this article and learning more about the subject, you're already on the right path.